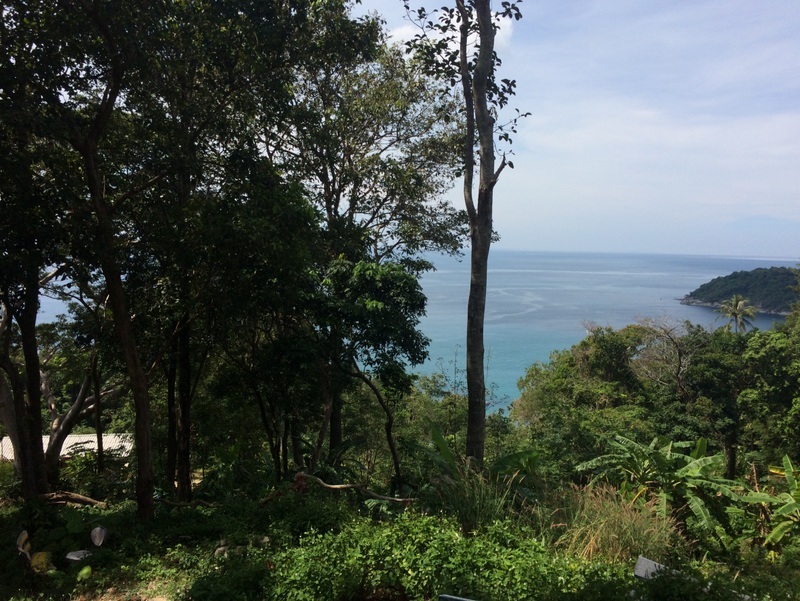 PHUKET: Accompanied by armed military personnel, forestry officials today (Nov 25) seized 65 rai of land next to Freedom Beach, on the headland to the south of Patong valued at an estimated B4 billion that has been deemed to be public land. One man at the site hired to charge tourists B200 per person to cross the land to access Freedom beach was also taken into custody. 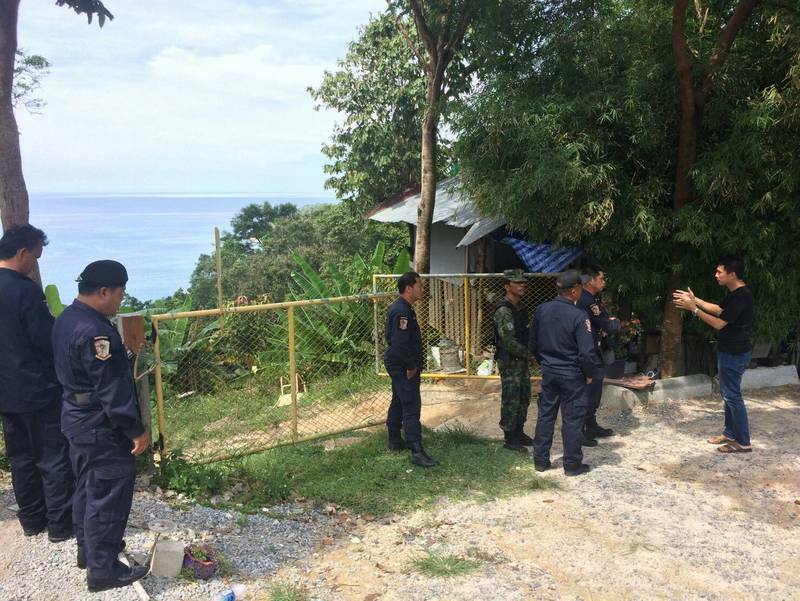 The raid party, comprising forestry officials, police and Thai Royal Navy security personnel from the Third Area of Command, arrived at the popular tourist site at 11am. 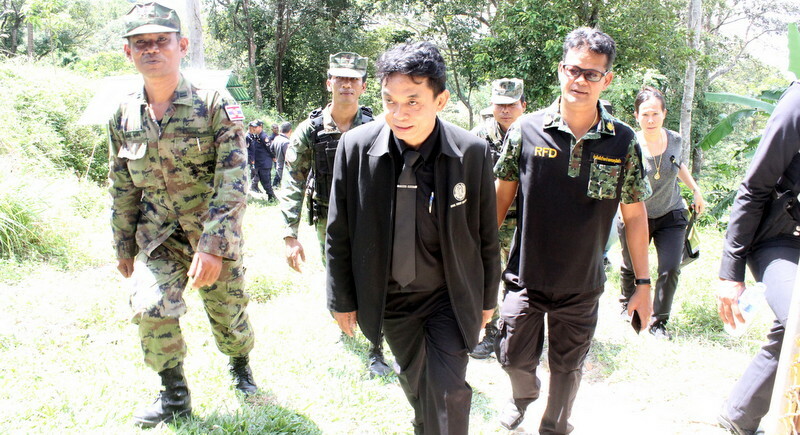 Royal Forestry Department region office Director Boonsueb Samakrat today explained that the two Chanote titles were issued for 65 rai of land inside in a national reserve forest area. “These areas will be returned to national forest. The Forestry Department on September 8 gave the owner (sic) 30 days to remove four structures and vacate the area. 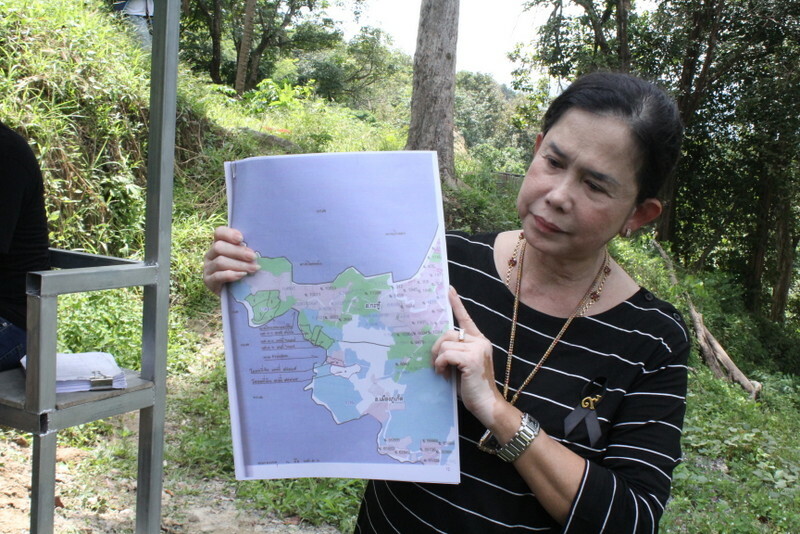 “The owner appealed to the Royal Forestry Department, but the appeal was denied and an order to proceed with the law (and reclaim the land) was issued,” he said. 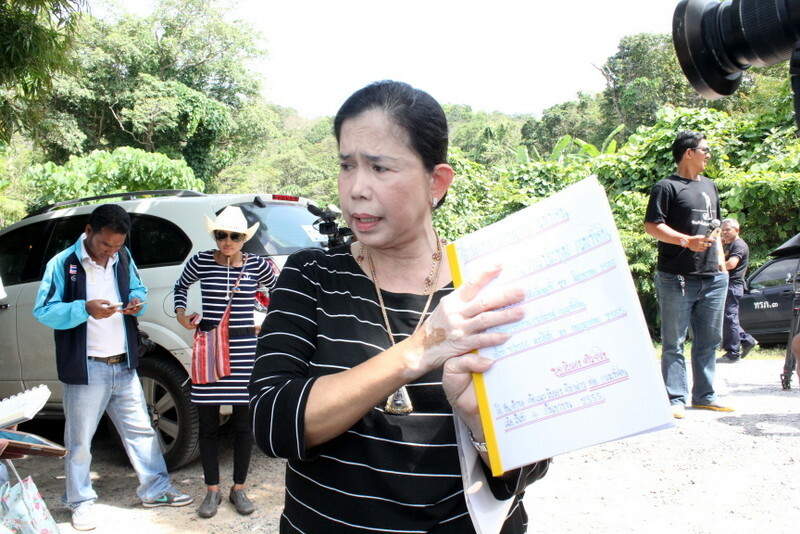 Mr Boonsueb said that only after the land titles were revoked did officials learn that a man had been hired to collect B200 baht from each tourist wanting to cross the land to access the beach. “Today the man who was in charge of collecting the entry fee was taken to the police station,” he said. “After today we will post signs announcing that the land has been seized by officials and if the claimant still refuses to remove the structures then the Forestry Department will have them removed and charge the owner the cost of removing them. This land belongs to the government and it is public land,” he said. While officials were inspecting the area today, Eakachai Sae’iew, who publicly lays claim to the land, and his mother, Ms Benja Sae’iew, arrived with land documents and threatened to sue officials for trespass. Mr Eakachai said he bought the land from Wiroj Kongkaew in 2000, when the land deed was SorKor 1, and applied for the Provincial Land Office to upgrade the deed to Chanote status in 2001. Mr Eakachai said that the land titles are legal because the original owner occupied the land before the government declared the area national forest land in 1954. “Land officials thoroughly checked the documents and surveyed the area,” Mr Eakachai said. “They did everything according to the law and confirmed that the land was not in the national forest area,” he added. “I will file an appeal with the Administration Court to annul the order to revoke the titles,” Mr Eakachai said. “I will also ask for protection during the trial and will sue the Land Department for damage,” he added. “I want the public to know that I am not an investor, not a nominee. I own a business in Samkong making signs and stickers. 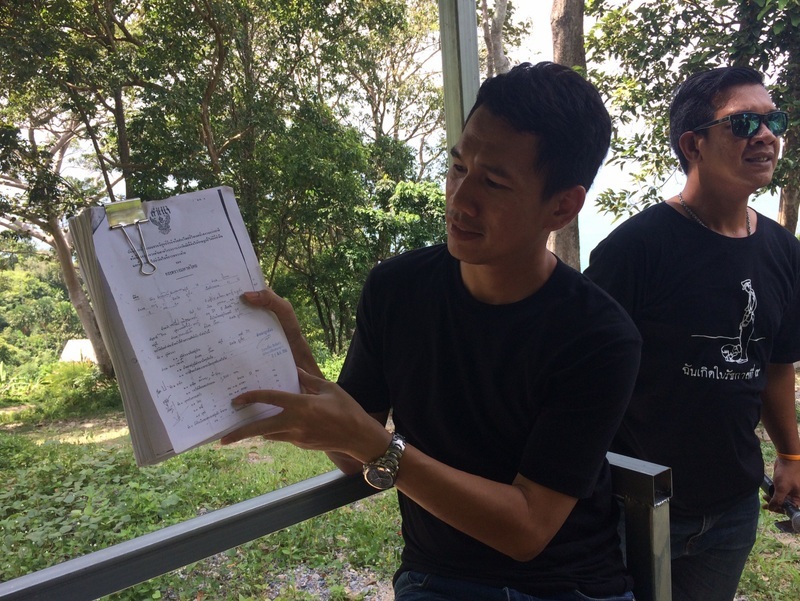 I bought this land because I want to develop it to promote tourism for our island,” he said. The original owner "occupied the land" before it was forestry reserve? Occupy it is all they did with a SorKor1, which is not a land ownership document. They lost their right to "occupy" the land when it became forestry reserve more than 60 years ago. The issue should have ended there and without the blatant corruption in the land office it would have. Kurt...no can't you read, he wasn't arrested. Don't know where you got your law degree from, for you to state beaches belong to the Thai people. They don't. Finally the thai person who claims/collect B200 from people to visit a Thai beach ( thai beaches belong by law to the thai people) has been arrested. Easy, he is not 'influential'. So, what is next and right by thai law? The thai authorities or the 'beach land owner' Eakachai? This is already a many years dragging on affair.